Product prices and availability are accurate as of 2019-04-19 00:00:46 EDT and are subject to change. Any price and availability information displayed on http://www.amazon.com/ at the time of purchase will apply to the purchase of this product. 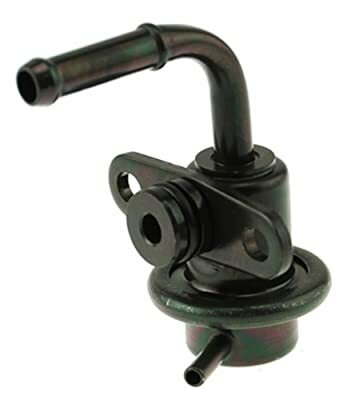 The Auto 7 fuel injection pressure regulator is the perfect OE replacement if you need a new fuel injection pressure regulator. Auto 7 is a supplier of original equipment quality parts for Hyundai, Kia and GM-Daewoo vehicles. By specializing in these three car brands, we’re able to offer virtually every mechanical part they require. Our extensive catalog has over 70,000 application listings for these vehicles from model years 1986 – 2013. Auto 7 carries 14 product categories, and most of our products are considered “hard to find”; these parts are not typically available through traditional aftermarket channels. As an original equipment quality supplier, our products have the endorsement of prestigious quality certificates, such as QS-9000, ISO-14000, or IS/TS-16949. Our depth and breadth of coverage is what differentiates Auto 7 from other suppliers. All Auto 7 parts are made in South Korea, the home country of the Hyundai, KIA, and GM Daewoo vehicle manufacturers. The factories meet tough, worldwide quality standards and ISO-14000 environmental impact standards. You can be assured that when you install a new Auto 7 replacement part, you’re installing a product that is equal to the quality of the part you’re replacing. Auto 7 is so confident in the quality of its parts that each comes with a 12-month, 12,000 mile warranty.